On the 24 September 2018, the works for the realization of 24 km of waternetwork extensions started in the town of Manjacaze. 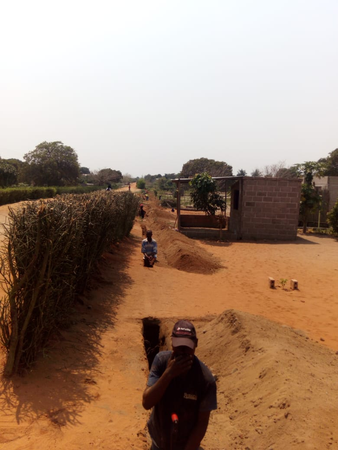 A few days later, works for a 10 km network extension in the town of Praia de Bilene started as well. Construction company Agua Mundo recruited 75 daily labourers in the two towns to implement the works. In Manjacaze, thanks to the hard work and the favourable conditions of the ground, each day of work 750 meters of network extension are realized. VEI finances these works, estimated at EUR 0.3 million, as a contribution to the AIAS project. In total, 19,150 will benefit from the extension works in three towns: Manjacaze, Praia de Bilene, and Espungabera. The works in Espungabera will commence in November.